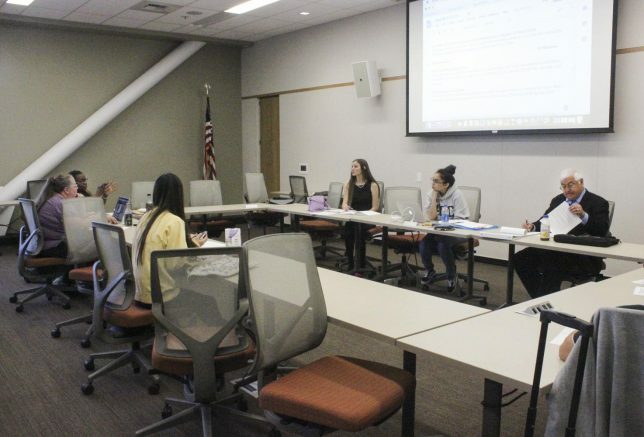 The Associated Student Body Student Senate discussed how the board would spend money on ASB travel and promotion, and reported progress on health resolutions at American River College on Sept. 21. Before the senate reviewed their own resolutions, they needed to read the resolutions that would be presented at the fall general assembly. The Student Senate for California Community Colleges (SSCCC) Fall 2018 General Assembly takes place October 26 to 28, and any of ASB’s resolutions that were passed and are older than five general assemblies, or about three years, will expire. Advisor Frankie Johnson told the board they should focus and prepare the new resolutions, not to overthink submitting all of the sunsetting resolutions without amendments. “The idea is to … do our due diligence and get [the bills] out there. What happens after that is up to the delegates to vote on,” Johnson said. Since they only have eight resolutions, Parliamentarian Lorenzo Cuesta said they can decide on the sunsetting laws at a future time. The SSCCC General Assembly resolutions were read next. President Rebeca Rico-Chavez read the resolves of a resolution for the creation of bookstore committees that would allow students to advise bookstore services and allow access to instructional materials including the bookstore contract, pricing policies, textbook availability and timeliness. “[SSCCC] and all student governments shall advocate for the creation of a new shared governance bookstore committee on all CCC campuses and serve in an advisory capacity to the college president on all matters pertaining to bookstore services,” Rico-Chavez said. A bill for Mental Health Awareness Week, and a bill for a health services fee to fund health services for currently enrolled students were also passed with no objections. The ‘Education Not Incarceration’ resolution regarding formerly incarcerated and system impacted students and access to education and funding was read next. The delegation will decide the vote upon hearing the resolution at the general assembly. The senate also spoke about a budget ‘not to exceed’ twelve thousand dollars for the Diversity Conference in San Francisco next spring. The budget would account for the possibility of additional students. The first new bill on the agenda was for allocating five thousand dollars for the possible creation of ASB flyers, brochures, or handouts. Johnson told the board that many other campuses have their own flyers. 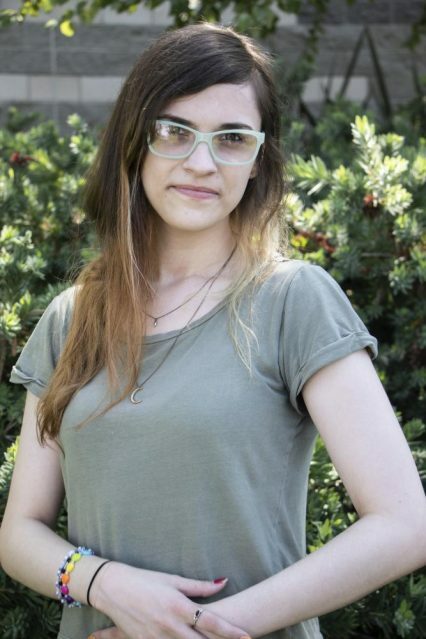 “ASB at ARC does not have anything you can give and I believe having brochures or flyers is going to help in promoting … what you’re doing,” Johnson said. The bill was postponed, with no objections. The next bill was for an ASB advocacy campaign by Johnson. The bill passed with 3-1 for allocating ten thousand dollars towards the campaign. Vice President Elena DeNecochea objected to postponing committee reports. The Los Rios Community College District is willing to hold a meeting at ARC in November to take action on the expansion of health services offered to students, according to DeNecochea. During the public comment, Earl Crouchley III spoke on behalf of Brad Lavin, President of the Association of Student Veterans at ARC, and as the former vice president of the Student Senate, about the lactation room renovations and a bill about campus expansions. There is no discussion allowed during public comment, so Lavin supplied printed information about bill AB-2785 and the accommodations required after the meeting was adjourned. He was on the Joint Budget Committee when money for the renovations was approved. Crouchley had also asked that the board to consider including lockers in the renovations, and the topic was submitted to the next agenda. The board will have to catch up on reviewing the bills in time for the conference. The next Student Senate meeting takes place Oct. 5, 2018. Be the first to comment on "Student Senate decides on travel costs, public asks about lactation rooms"